Retreat to the Outdoors. Looking for some R&R away from the hustle and bustle of life? This property has it all. 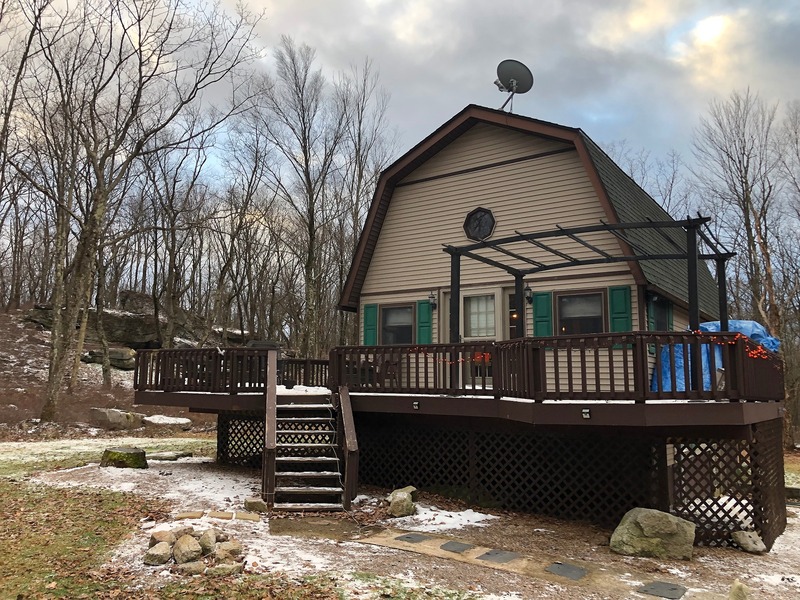 Situated on over 1.5 acres, this Chalet style house will meet your needs for space, comfort, and modern conveniences all while being surrounded by wildlife. Walk up the steps to the wraparound deck and enter into the open floor plan. The main level consists of a beautifully maintained living room with fireplace, vaulted ceilings, spacious eat in kitchen and full bath. The bedroom loft is large enough to fit your king sized bed and have plenty of room left for furniture. As you walk down into the finished basement you will find a 2nd bedroom, living area and a walkout to the patio. Your 2 car garage is perfect for your vehicles or your toys. The bonus detached building, complete with electric and heat is perfect for a guest house or potential rental income.